This is a study of George Eliot's political imagination which traces the theme of inheritance through her fiction, taking it both in its ordinary sense of property bequeathed from one generation to another and in the extended sense of the transmission of a nation's culture and traditions. 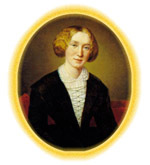 The theme is important in that it shows George Eliot's response to the alienating conditions of modem society and defines her - with 'her deep sense of dependence on the past, her commitment to the English political tradition, and her vision of English nationality' - as an essentially conservative thinker in the tradition of Burke and Coleridge. If there is in Silas Marner and Felix Holt a recognition that individuals may be justified in rejecting their inheritance, the emphasis in late works such as Daniel Deronda falls on the binding and sustaining power of cultural traditions inherited from the past. The author is an historian of ideas and the strength of his study lies in the way that he elucidates George Eliot's thinking and relates it to its wider intellectual context. He points out how her admiring essay on Riehl, 'The Natural History of Gennan Life', is designed to persuade a cosmopolitan liberal audience of the importance of national character, and that this explains why she excludes any mention of Riehl's anti-Semitism from her summary of his work. It must be, Semmel argues, a tactical omission rather than an oversight. He also sets out clearly the combination of attraction and repulsion which characterizes her relationship to Comte's Positivism: she accepts its moral teaching but rejects the authoritarianism and utopianism involved in Comte's model of a new society. The fact that the English Positivists in the 1860s and 1870s were far more radical than Comte, believing in the need for revolutionary class warfare, could only increase her disaffection. Both Romola and Middlemarch are seen as challenging Comtean doctrines, the one by showing Savonarola's utopian, proto-Comtean state to be the enemy of freedom and individual happiness, the other by promoting the politics of compromise and taking a meliorist view of the British parliamentary state. Increasingly George Eliot comes to stress the importance of the national culture and its inherited traditions, and in so doing she is closer, Semmel suggests, to pisraeli than to Gladstone and his liberal cosmopolitanism '(although I am not persuaded that the young Disraeli served as a model for Ladislaw). And in an interesting epilogue he compares her view of the national tradition to the patriotic beliefs expressed by George Orwell during the Second World War - his 'devotion to a particular place and a particular way of life' and his view of English civilization as continuous, persisting and organic. Like Orwell George Eliot is not a nationalist who believes in imposing on other peoples, but a patriot who holds to the inherited values of her own culture as opposed to the levelling uniformity of cosmopolitanism.